Health and Safety Pocket Book by Jeremy Stranks. 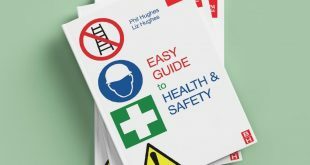 This book has full scope of industry and commerce, who may have specific responsibility for health and safety, together with those studying for specific qualifications in the discipline. The main objective is to provide a ready reference text on a wide range of issues, including the principal features of health and safety law, established management systems and sources of information.